How can I view data inside an oxd database manually without an oxd-server? How can I avoid client expiration? oxd is commercially licensed software. 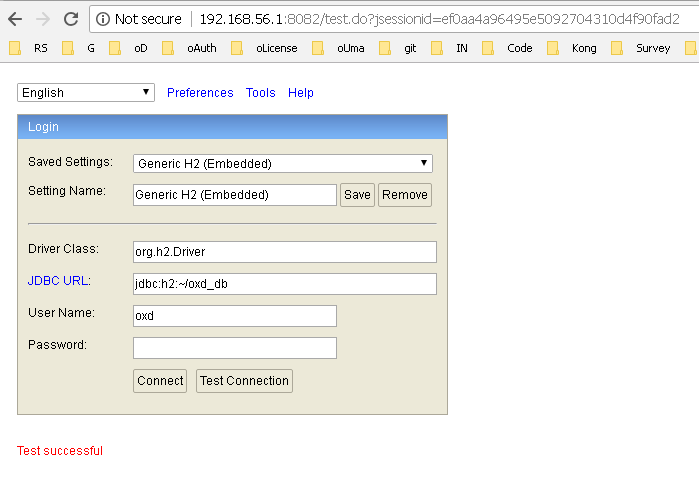 To start the oxd server, a valid license is needed, which can be obtained by registering on the oxd website. Each application (OAuth 2.0 client) that leverages the oxd service is billed USD $10 per month. The first 10 oxd clients are always free, and there is a five (5) day grace period for each new client–meaning: only clients active for 5 or more days are recorded for billing purposes. Usage fees are accumulated daily and charged at the end of each month. If your organization needs annual billing, schedule a call with us. After hitting the "Connect" button, you will be able to view/modify the data manually. Please be careful not to corrupt the data inside; otherwise the oxd-server will not be able to operate in its stable mode. The register_site and setup_client commands generate clients dynamically, thus setting the lifetimes of these clients. The lifetime of the client is set on the OP side. It is possible to extend a client's lifetime by calling the update_site command and set client_secret_expires_at to a chosen date. This field accepts the number of milliseconds since 1970. You can use https://currentmillis.com/ to convert this time to milliseconds. For example, Fri Jun 15 2018 12:28:28 is 1529065708906. Note that setup_client creates 2 clients in oxd-server versions up to 3.2.0, so if you need to extend the lifetimes of both clients, call update_site with oxd_id and setup_client_oxd_id which are returned as the response from the setup_client command. Please set uma2_auto_register_claims_gathering_endpoint_as_redirect_uri_of_client in oxd-config.json to fails otherwise you may get no_uma_discovery_response if UMA is not supported on AS side.